A good number of children at Christ Church choose to take up places at our many lunchtime and after-school clubs. 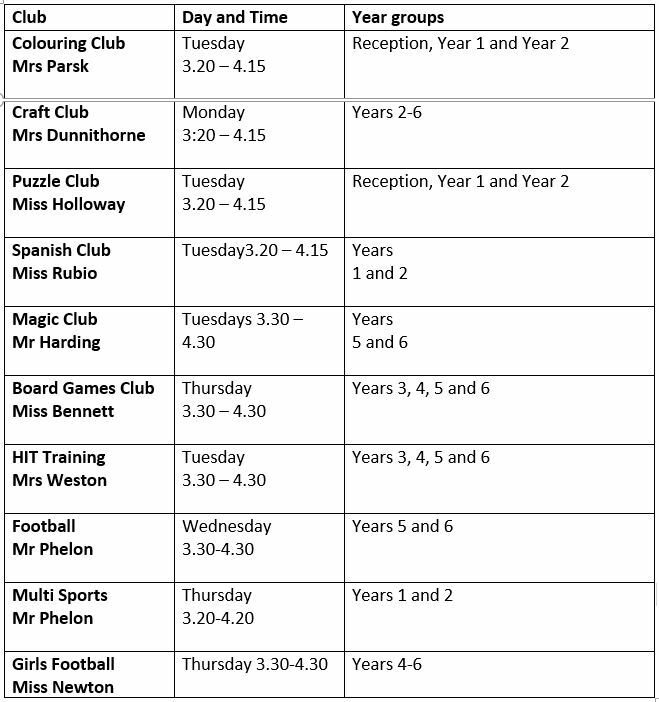 Clubs vary year on year and have included: Story club, drama, puzzle club, recorders, basketball, tennis, mini-sports, rounders, cricket, tag-rugby, athletics, art club, football etc. The school also offers peripatetic music tuition for a variety of instruments which can be borrowed from the school.